While political activists and politicians continue to overwhelm professional journals, mainstream media, and countless television networks regarding patient deaths related to prescribed opioid therapy, they all overlook a potential key group that could significantly help. The answer? “I don’t know enough about how pharmacists are trained to have an opinion about including them.” Thank you very much for that answer because you fired me up enough to write this blog. While it surprises me that the individual has not spent more time researching pharmacist education and skillsets, I am more disappointed in organized pharmacy leadership for dropping the ball on their constituents and the opioid [and other] patients that stand to benefit. Many of you may not have connected the dots yet. But, large pharmacy organizations such as the American Pharmaceutical Association (APhA) and American Society of Health-system Pharmacists (ASHP), among others, have been spending hundreds of thousands of dollars over the last several years lobbying for pharmacists and encouraging Congress to recognize pharmacists as “providers”. Such a policy change would allow third party payers like Medicaid and Blue Cross to pay pharmacists for evaluating, prescribing, and counseling patients in clinics and in hospital settings. While on the one hand I applaud their efforts, I believe the organizations have not yet seen the forest through the trees. 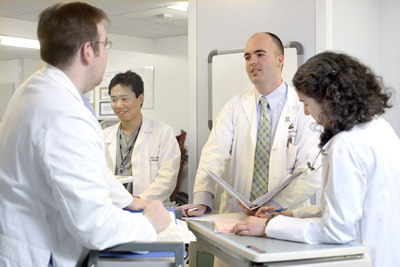 Most non-pharmacists here probably don’t know this, but following the MD equivalent for pharmacists, the PharmD, many pharmacists go on to do a postgraduate general practice residency followed by a specialty residency and/or fellowship. There is no doubt that these highly trained pharmacists are at least as, and in most cases, more qualified in the area of medication therapeutics than the majority of clinicians nationwide that are prescribing opioids, or any drug for that matter. The federal government has recognized this for years, and within the Department of Veterans Affairs, the Department of Defense, and the Public Health Service, pharmacists see patients in primary care and specialty clinics regularly. They treat diabetes, hypertension, hepatitis, heart disease, infectious disease, cancer, psychiatric disorders, pain, and many other disease states in collaboration with medical doctors and other clinicians. No, they do not diagnose, nor do they want to. But given a diagnosis they prescribe medication, the choices of which are generally more cost-effective, order appropriate laboratory analysis, and triage new problems where immediate medical attention is required. But there are two issues. #1, PharmD’s need to be paid for these services so that MD’s and large managed care groups can financially support their presence and incorporate them into medical practices nationwide, and #2, people “don’t know enough about how pharmacists are trained to have an opinion about including them”. True as also stated above, but OUCH! So while organizations like APhA and ASHP are spending thousands of dollars to convince politicians on The Hill to favor Bill H.R. 592, they are missing the bigger picture. Notwithstanding, Bill H.R. 592 doesn’t even go far enough, but I suppose from the standpoint of professional organizations, it’s better than nothing. Better than nothing – why do I say this? Newsflash: All pain patients are medically underserved and there is an opioid epidemic! I for one am tired of seeing erstwhile pharmacist icons portrayed on television. Here the American pharmacist icon is seen dispensing medications and advocating for over-the-counter medications while standing behind a counter in a white coat as if behind a curtain in the Land of Oz. Don’t get me wrong, I know for certain that there is a lot more to their daily activities that go unnoticed by those lines of customers (who we really know as patients). They are checking for drug interactions that are ill-represented by computer software, contacting prescribers with recommendations and alternative therapies, giving vaccines, fighting for patients with insurance companies to obtain otherwise non-formulary or third tier drug options, counseling patients on medication and device use, and much more. But, according to my daughter Sarah Hermalyn, a branding expert who grew up in a pharmacy environment, “the problem is that the profession as a whole needs to be rebranded. When people ask me what my father does for a living, I usually say he’s a PharmD and runs a pain clinic. If I tell them he’s a pharmacist they picture someone behind a counter, filling prescriptions.” To learn about branding see 100 Days to Define Branding. We have an opioid epidemic, a medically underserved population of pain patients, some medical providers who would give their right arm to partner with a clinical pharmacist for help with medication management in their pain patients, and a group of healthcare professionals that are being grossly underutilized. Nevertheless, most medical professionals and lay people really have no idea what pharmacists could contribute or how. So while our organizations are politicking on The Hill, and I continue to receive e-mails each week and year after year on how “we are getting closer” to approval of a Bill that allows billing for such partnerships, I’m still waiting as patients suffer. Medicaid and Blue Cross pay physicians, physician assistants, nurse practitioners, midwives, podiatrists, pyschologists, chiropractors, dentists, optometrists, physical therapists, social workers, and pretty much everyone else. But they don’t pay pharmacists. It’s simply absurd! 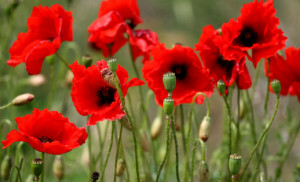 Land of Oz, poppies, get it? If pharmacists expect that Senators and Congressman are going to support Bill H.R. 592, it needs to start with educating their constituents. Pharmacists need to explain to their communities what we can do and how we can do it. How can we possibly expect politicians to support such a bill when most of the country thinks we are smart people wearing a white coat in the Land of Oz? So why this blog post? Don’t you see it? Pharmacy Doctors (Clinical Pharmacists) are in a perfect position to help medical doctors and other prescribing clinicians carefully and accurately assess opioid medication regimens; to determine if the patient should or should not be on an opioid; to stratify risk; to prescribe and train patients and caregivers on in-home naloxone; to determine if they’re on the best opioid or the wrong opioid; to transition them to a better opioid for their condition; to order, monitor and interpret urine drug screens and medication blood levels; to order and interpret pharmacogenetic tests; to anticipate otherwise unanticipated drug interactions due to Phase I, Phase II metabolisms and/or p-glycoproteins; to cost-effectively select the best medication based on insurance coverage; adjust doses based on kidney and hepatic function; comprehensively engage each patient’s third party payer to justify required prior drug authorizations; and much more. It is We the [Pharmacy] People that need to foster support for Bill H. R. 592 and expand its utility because all communities have underserved pain management patients and the dangers associated with overprescribing or inadequate access to pain medications – not just opioids. Here is a place where Congress could really make a difference for pain patients and also improve patient monitoring by enacting a bill that would capitalize on the expertise of residency trained pharmacists in the fields of behavior health and pain management. It is inconceivable that pharmacists could do it better, improve outcomes and safety, at a lesser cost and with reduced medication-related hospitalizations, all of which have been studied and proven, yet NOBODY KNOWS. Pharmacy needs to be rebranded! I would love some comments and feedback from clinicians and patients. It will be especially interesting to hear if physicians would readily incorporate residency trained “pharmacists” into their clinics if they could bill for that visit. It would be equally enlightening to hear how and if patients would be accepting of seeing a clinical pharmacist on a follow-up visit instead of their physician, nurse practitioner, or physician assistant. I don’t know if this is the right place to write to, but this is my situation. November 17, 2015 I went to the ER with both large and small bones broken in my left ankle.The doctor told me he gave me Dilaudid (hydromorphone) and it stopped my heart and I had to be revived. He said I was not allergic to it tho. I spent 7 days in ICU before he could operate on me. He said I had to be sure that all the Dilaudid was out of my system. That is all I could find out from him. What happened? What does that mean? I can’t find out from anyone. Please, can you help? Thanks! There’s no way of knowing what happened without a full medical record review. I’m appalled they didn’t know enough to consider adding a well qualified pharmacist to the panel. Yet, it seems par for the course so far. I can’t say enough good things about our local pharmacist. He is thorough, keeps impeccable records, and adds in kindness to boot. One day my niece didn’t feel well, her brother took her to the pharmacy where our pharmacist checked her blood sugar and blood pressure immediately. Her sugar was low, he provided a candy bar, and sent her directly to the Dr. He always takes time to explain medications, and stays on top of all these crazy new rules regarding opiates, which helps me immensely by not having to try to figure it all out as a layman. Many thanks to all the excellent pharmacists out there who make our lives just a little better! I think this is a great idea with one caveat….you or someone like Dr. Tennant should do the training! There just aren’t many out there with the knowledge and expertise, including physicians or pharmacists! We Do have a severe shortage! Thanks for all you are doing on behalf of pain patients ! I couldn’t agree more that there aren’t enough folks trained in pain management in either field, pharmacy or medicine. One of my life goals is to change that! Thank you for you the kind consideration and your comments! I think your correct on the rebranding idea. I would hope that pharmacists would be more compassionate if the bill passes. As we all know, many legitimate pain patients have been refused their prescriptions, have been called drug seekers or addicts and been made to feel extremely humiliated from pharmacies in Florida also in many other states. This would have to change to gain the patient acceptance part you’ve mentioned. Things are so horrible in some states with finding knowledgeable doctors willing to treat pain, that patients are having to travel hundreds of miles to find care. From VA to CA is a long way. This has become outrageous. Pain patients need good care. Patients need more help and if a pharmD can help? This is way past due. I support you and thank you for all you do for the pain community. Donna; Thank you for you kind contribution to the discussion. You are correct in that any pharmacists involved in direct patient care with pain management certainly will need to have expertise in this area. The same of course is true for medical doctors, but unfortunately most people that are “treating” pain do not have advanced education in that therapeutic area – physicians and pharmacists included. This needs to change. Hello, my name is Lisa Dragic and I am a fourth year student pharmacist form Temple University School of Pharmacy. I think re-branding needs to start within. I firmly believe that there is a disconnect with pharmacy students. For example, I held a provider status campaign at my school. We brought Temple University to 47.5% of the students who signed the campaign; we were the #1 school in the nation for provider status signups. What surprised me most was that many student pharmacists and pharmacists didn’t know what provider status is. Additionally, a majority did not even care to learn more about it. Pharmacists and student pharmacists need to be more more engaged and supportive of these efforts. The issue is, we have so MANY organizations within pharmacy that We have a divide in our profession. We have hospital pharmacists, clinical pharmacists, community, independent, and industry pharmacists all fighting for different causes. For example, APhA has “American Pharmacist Month” and PSHP has “Pharmacy Week” and both are in October and both are to educate patients and healthcare providers about what pharmacists do. Why do we have two different “brands” for the same purpose? Furthermore, there is a huge divide with clinical pharmacists vs community pharmacists. One is not better than the other; they just do different things and both are equally important. We are our own worst nightmare. The only way to rebrand pharmacy is to come together as a whole for a single cause, and that’s to help patients with their medication regimen because WE ARE the medication experts, no matter what field one chooses to go down. As a current student in pharmacy school, this article makes me both hopeful and a bit disappointed. I am extremely hopeful that legislation will be passed in the near future that encourages pharmacists to practice to the fullest extent of their training, rightfully allowing pharmacists to obtain provider status and the ability to be compensated for their work in clinical medication-decision making areas. However, I am (and quite frankly have been) disappointed in the methods used by various pharmacy organizations to promote the image of pharmacists! Yes, it is of the upmost importance to focus on lobbying strategies; however, it will ultimately come down to changing the perception of that PATIENTS have which will really induce change!! I do not think that I have ever seen pharmacists involved in any type of medical show, daytime talk shows, or prime time dramas like Grey’s Anatomy!! And don’t get me started on the pharmacist image depicted in seemingly every pharmacy commercial, of the traditional pharmacist behind the counter at a Mom and Pop Pharmacy or large chain… Everyone should understand that pharmacists are the EXPERTS in pharmacotherapeutics, and as experts NEED to be involved in medication-decision making and direct patient care! The question becomes, how do we increase awareness about this dilemma (pharmacists not having provider status is contributing to a MAJOR HEALTHCARE PROBLEM)? 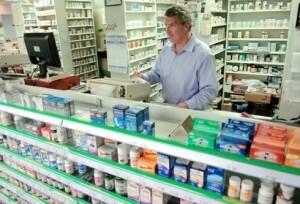 As this article so beautifully illustrates, the image of the pharmacist needs to be rebranded!! There should be more commercials of pharmacists in direct patient care situations, more attention to the proven literature showing pharmacist involvement improves patient outcomes, and a CONCERTED COLLABORATIVE EFFORT by pharmacy organizations perhaps in collaboration with the AMA and other physician groups to change this perception! Pharmacy needs more videos like the one linked below, showing a much different view of the pharmacist and defining collaborative drug therapy management!! Three cheers for pharmacists! Looking at how much time a pharmacist spends studying drugs and how they interact with various disease states in the human body it’s kinda obvious you just might want them in positions where they can flex really flex all their mental muscle. Look at MD’s, they have to learn physical exam skills, procedures like putting in chest tubes, and who knows they might even get to do a Hail Mary ED thoracotomy. Then add to that a level of sleep-deprived multitasking that scares the hell out of me. Medicine is way too specialized now to not work as a team. Nobody knows everything. A jack of all trades is a master of none. This is really funny because in pharmacy school one day I was daydreaming about a world where patients bring a diagnosis to the community pharmacist rather than a prescription for a particular drug. Sure, a lot of changes would have to be made with information exchange, including better e-record and pharmacy dispensing platforms that actually communicate with each other (etc. etc. etc.) – but anything is possible. It’s like the Jetsons Pharmacy. Sci-Fi pharmacy. The pharmacy of the future! Dr. Carroll; That’s an interesting scenario that could eventually play out, but only after some changes. It’s funny how things change over time. My Great Uncle was an “old time” pharmacist that graduated prior to 1910 and later owned a pharmacy with a soda fountain in one corner and a brass microscope in the other with prescription balances, mortars and pestles. He used to tell me that during flu and cold season patients would come in and he’d be up all night compounding medications in tablet triturates, capsules, emulsions, syrups, you name it. Physicians used to send patients to him with a diagnosis and write on the prescription in Latin “Sagundum Artem”, or in English, “according to the art”. In essence, this is what you’re talking about. When my father practiced pharmacy it was illegal to substitute a generic with a brand name – now it’s almost required, but only after a drug has been determined to be A-B rated. And now there’s my daughter who is working in an academic ambulatory care clinic in Utah. She’s your age. Ah – the circle of life! is not profit driven by big box pharmacies and PBMs. However I believe the world IS ready to incorporate clinical pharmacists into clinics outside of just academic and government practice sites where they are most frequently seen. It is surely time to see pharmacists in private ambulatory care settings, specialty clinics, and large urban clinics, especially in underserved areas. Let’s get the word out using social media and engage our colleagues to do the same. As long as we move forward knowing it’s about the patient and not for selfish reasons I believe it will happen! As P1 pharmacy students, we were tasked with attempting to “rebrand” pharmacy by developing a creative video/commercial which demonstrated the things that pharmacists do for patients outside of dispensing their medications. 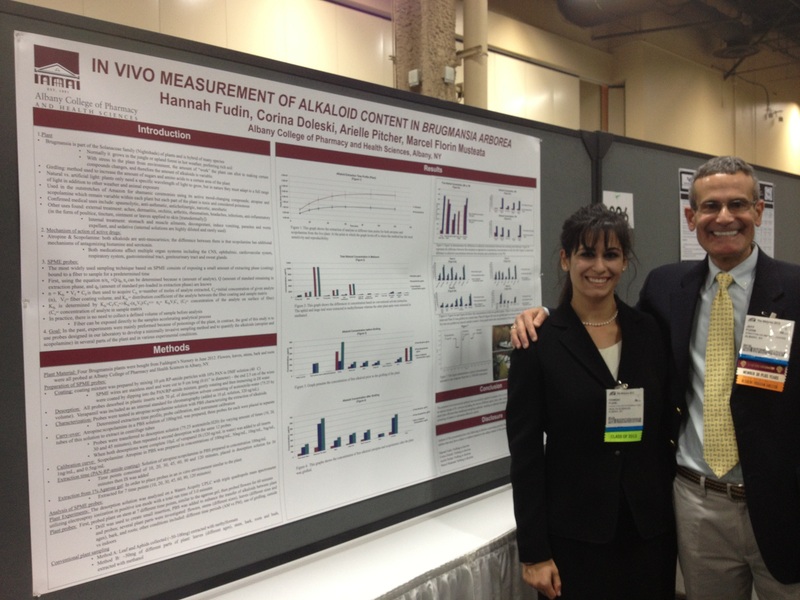 See my first-year student pharmacy efforts at the link below! Nice work Dr. Carroll. Now we just need to get videos like this out to the world outside of pharmacy! Jeff – You mentioned PROP, so you’ll probably be sued. Or threatened to be sued. 😉 Great blog. as always. Looking forward to seeing you in Dallas next week. Happy New Year! LOL – nah Mike. PROP and I go way back. We have a love-hate relationship. Seriously, I trust that all have the patient’s best interest at heart. When we learn to live and work together, that’s when there will be best outcomes. I only hope that when all the dust settles, PROP folks, the CDC, and Congress will figure that out. Amen! I am in my 10th year as a pharmacist. I am still surprised when other professionals are unaware of my role in patient care. The pharmacy organizations have historically operated in their unique niches (health-systems, community, managed care, etc) and not in the larger context of the profession. The approach to rebranding should be multifactorial and involve demonstrating to other health professionals what a pharmacist with advanced training can do as well as improving awareness/visibility of pharmacists to patients in all care settings. There is a nice article about the failure to get reimbursement for pharmacy services in the January 2007 issue of Am J Health-Sys Pharm by Ernie Dole and Matt Murawski. Amy Murdico and I wrote a letter to the editor when we were residents, and it appeared in the journal later that spring, to bring an end to the intra-pharmacy rhetoric/back-patting and invest in demonstrating value outside of our profession. I welcome the opportunity to become a more visible force in the medical team and to be cast in the first pharmacy sitcom. Dr. Patel; You’re too good-looking to be on a sitcom. I’m afraid we’d loose a great practitioner to Hollywood. Thanks for the comments and Happy New Year! I would be THRILLED to speak with a PharmD who had specialized in opioid prescribing. I’m starting to sense that my MD is in over his head and I is treating my multiple sources of pain, one of which has not even been diagnosed, by the sheer fact that I’m still breathing. To have that level of expertise available would be comforting to say the very least! As a patient and former pharmacy technician, I welcome this wholeheartedly. I think a large part of the problem is that everyone isn’t on the same page, and if that could be remedied, I think it could help improve patients’ lives dramatically. While the prescription drug database can be helpful for looking up what medications a person has been prescribed, it doesn’t replace the need for meaningful conversations between providers and comprehension of why these medications are prescribed. Many patients, including myself, have complex and hard to treat conditions. Just looking my name up in a database isn’t going to tell you that or explain what my individual needs are. My case is compounded by the fact that my kidney function bounces around. It goes from Stage 2 CKD to Stage 3 right now, but I’ve been very close to Stage 4 and could end up there or beyond at any point. While my doctors aren’t concerned about that, I most certainly am. I want to do everything I can to avoid dialysis and total renal failure, thank you very much. In a couple of incidences, I’ve had doctors prescribe medications that are contraindicated for kidney disease patients, and then get angry when I’ve done some research and refused to take the meds. I only use reputable sites – Mayo Clinic, Cleveland Clinic, drugs.com, just to name a few. Sites that they could easily use themselves, if they had the time. They certainly don’t have the time to do that with every patient they see. Having a pharmacist on my team that already knows this stuff, who is willing to become familiar with my disease(s), both of which are rare, and can recommend and prescribe the appropriate medications for me would be a Godsend. Any pharmacist that is willing to do that most definitely deserves to be compensated for it. If I could, I’d move to New York and have you treat me yourself, Dr. Fudin. Thank you for all that you do, and I really hope you and others are able to get this off the ground. It’s long past due. I feel I am in a unique position to understand this dilemma as a Medical Doctor who also received his PhD in a School of Pharmacy and is an affiliate faculty member at a large academic medical center helping to train pharmacists each year. I continue to be amazed at the amount of knowledge pharmacists and pharmacy students have regarding opioids and pain management. Indeed, the amount of knowledge and skillset relating to opioids, morphine equivalent dosage, tolerance, titration, rotation, initiation, opioid labeling, etc is an order of magnitude greater than what the lion share of physicians receive in their medical school and residency training. 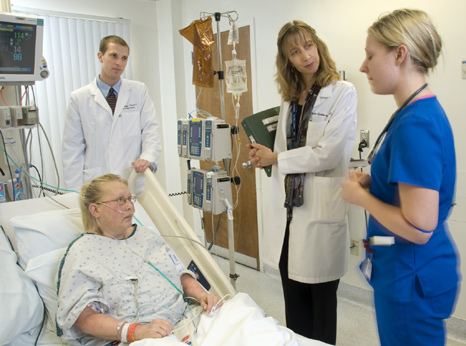 Many academic medical centers recognize this and have incorporated pharmacists as an integral part of the care team. For example, when I was on my internal medicine rotation, our attending physician always looked towards our pharmacists during morning rounds to ensure his medication and dosage section was appropriate and accurate, particularly relating to opioids. I concur that there is a huge issue here relating to knowledge, awareness and perception, but we must also appreciate that there is an opportunity to amplify the pharmacists’ role in patient care by educating physicians on their role early in their medical education. Thank you Dr. Edwards! You are correct; it’s not just about educating the community. I think the colleges have done a better job at creating collaborating relationships between medicine and pharmacy during experiential education modules early on, and that of course is key. Still we have a way to go with Interprofessional Education within the classrooms. But even if the colleges do a great job, there is still the reality of reimbursement in the real world after graduation. Hopefully we’ll get there! Considering the large number of people like dieticians, physical therapists, nurse practitioners, physician’s assistants, occupational therapists, and others that we patients regularly accept as adjuncts to our medical care, I personally would see no problem to having a relevant PharmD added to my medical routine. It has always bothered me a great deal that the system has set up physician pharmacological education in such a way that their information is received and regulated by pharmacy reps, who lack both medical and pharmacological educations. On the other hand, why should physicians be expected to know everything about both fields? They specialiaze within the practice of medicine, as it is. I personally welcome the addition of PharmD’s who in my opinion would keep both me and my physicians safe, and should be treated as the medical professionals they are trained to be. Thanks for the opportunity to speak out about this, Dr. Fudin! Couldn’t have said it better myself! The profession has changed immensely. It’s unfair to assume that residency and fellowship trained pharmacy specialists, who are the the EXPERTS in pharmacology and therapeutics, are having to spend valuable time in various roles trying to break down barriers to serve the chronic pain patient, when we are well equipped with the tools to do it ourselves. I wholeheartedly agree with the need for rebranding where do we start?! Dr. Cleary, I think we start by engaging these large pharmacy organizations and ask them to redirect funds to rebranding the professions. It’s not about branding their organizations anymore; it’s about rebranding the entire filed of pharmacy. Let’s see some clinical pharmacists on the so-called medical prime time television shows – you know from our clinics, PharmDs could have their own show, even a sitcom. heck, I could write the script (no pun intended). ASHP and others should be ashamed that so much money is spent training residents but little is done to ensure that the ENTIRE world knows the power of what they can do after graduation.